Thanks Robin, just wanted to be sure. Okay, the only one I totally did from scratch and roughed it out knowing scaling would correct errors!! I vote for #4. You can tell its a launcher without having to stare at it. Trumpeter's kit #00352 Hotchkiss 39 (H) will be my entry into this build. For clarification, is the distinguishing feature that the system be unguided (rocket) vs guided (missile), or that it simply must be surface-to-surface, in which case things like TOW and SCUD would be acceptable? Pretty sure I'm in, but need to figure out what to bring to the fight. "would anyone be interested in a launcher campaign? when i say "launcher" i mean similar to artillery. When the standard artillery just wont make an impact and you need a big hit from a longer distance you call for the launchers and some one to press that red button to launch the surface to surface missile "
but I will leave it to the campaign leader to make the final call. 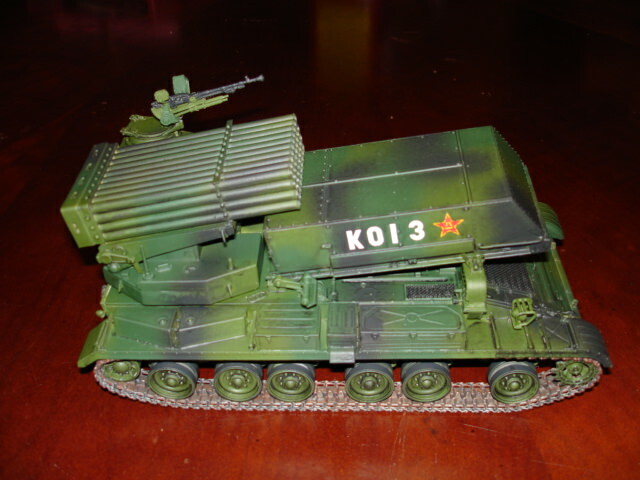 SCUD is used as long range artillery. TOW is an anti-tank weapon and in that role it is not a substitute for artillery. Indirect fire, rocket propelled, guided or unguided. Lots of good options out there. Roger that fits in its indirect fire i take it this is cheap quarry blasting?! Hell of an interesting project! I suspect the firing command sounds a lot like "Allahu Akbar!! If you do a quick google for 'Aleppo Hell Cannon' you can find this and it's various derivatives. Now to decide on scale - my preferred 25th or have a crack at the 35th scale game. Wowzer those hell cannons just wow!! Some logistics needed ha. I picked up a Trumpy Chinese Type 89 MBRL, which is what I will be doing for this campaign. Guess what arrived in the mail today courtesy of evilbay! I've done one of those before! It was a fun build. No nasty surprises that I remember. Good to hear! I'm kind of hoping for a quick build since I have some other projects that really need some attention. I was surprised at how much interior detail is included in the kit since it seems like it would require some major surgery to open up enough panels to make any of it visible. Looks good, Richard. I hope mine turns out that well. that type 98 looks good! looking forward to seeing your build. Really chomping at the bit to get started on this. So since I hope to get out of the office early tomorrow and since it will already be 1 Sep on the other side of the International Date line I'm hoping the campaign leader won't be too upset if I steal a little march on this campaign. I hear ya! That Type 63 107mm rocket launcher is taunting me! Roger I.: That would be a great project. 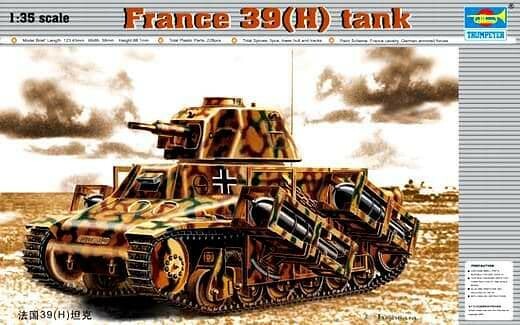 Takom makes a 1/35th scale BMW that has 4 of those rockets included. You could make a diorama with the BMW providing re-supply. I don't know if the tractor is available in 1/35th though. Or, PM me if you want the rockets from my kit. 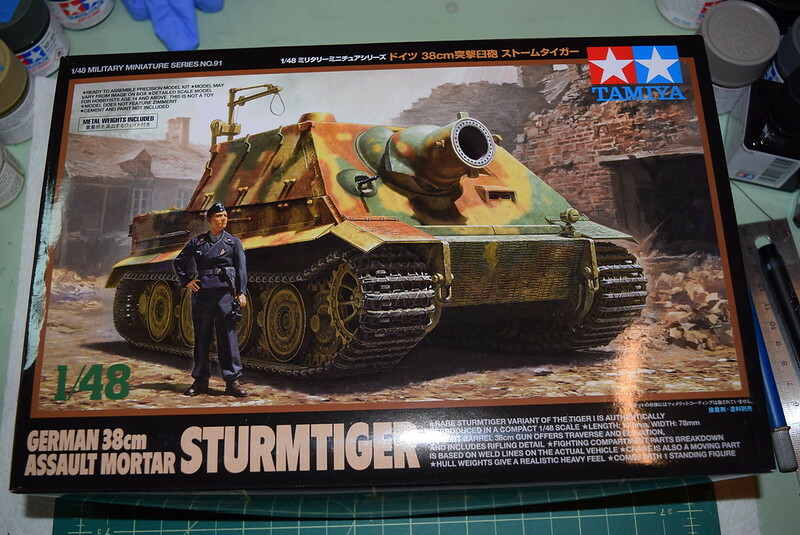 I'm in on this campaign with Tamiya's 1/48 Sturmtiger, with the Tamiya zimmerit. Likely wont be starting until October though.